At Atlanta Floors, our long list of expert hardwood floor services is only made better by our attentive customer service. We are only satisfied with a completed flooring project when you are. To reach this goal, we work carefully with each customer to ensure we catch your vision for what you want your floor to be. Then, we utilize our years of experience to help you decide the type of wood and process that will be best to bring your vision to life. For each service we provide, customer satisfaction is front and center. 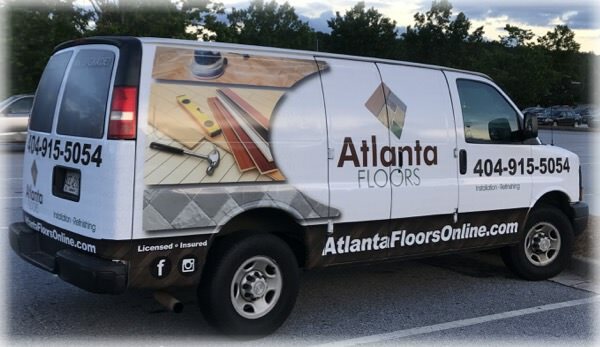 Whether you have a residential property or commercial space, your flooring project deserves the best services Atlanta has to offer. From the moment you call the office, all the way through to installation, refinishing and repair, you will know you are working with a team that places a high value on professionalism and takes each service to the next level. There’s never a reason to settle for less than the best service and skill for your Atlanta hardwood floors. Our team at Atlanta Floors is here to take the stress away and deliver exceptional hardwood floor installation services to give you peace of mind and a beautiful result. John and his team came in to refinish our floors. They did an outstanding job. Couldn't be more pleased with the final results. During the process, we decided to add iron railings to our stairs. John provided an estimate that was too good to pass up. He added 120 rails and they look awesome. Would highly recommend John and his team. Outstanding work for a great price and the best group of guys to work with. Will be calling again soon for our next project. Call 404-915-5054 for a Free Estimate! We provide exceptional hardwood flooring services such as hardwood floor installation, hardwood floor refinishing, hardwood floor repairs, hardwood stair installations and refinishing, hardwood floor cleaning and re-coating. Copyright © 2019 Atlanta Floors. All Rights Reserved.